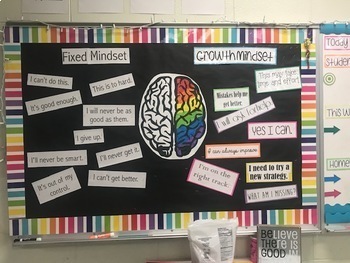 Growth Mindset vs. 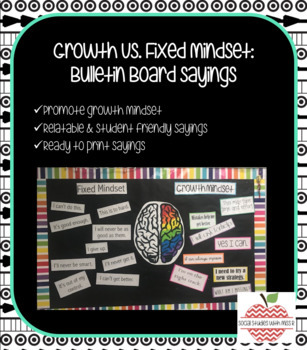 Fixed Mindset bulletin board sayings. Sayings/Titles included. Does not include brain, this was drawn by one of my students.